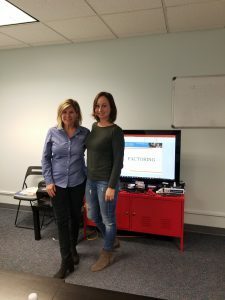 Each week Kim Bukovsky, Business Development Manager at Riviera Finance, gives a factoring presentation with Elizabeth Vasco, owner of Boston Transportation Solutions. We will teach and train you to work as an OTR Dispatcher. Kim and Elizabeth have more than 18 years of experience in transportation industry. Boston Transportation Solutions is the first and oldest dispatcher training company in Chicago. They’re fully licensed and bonded. They are not a trucking company – they are a training center, located in Downers Grove, IL. 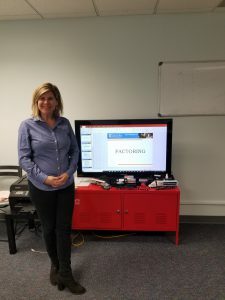 If you’re looking for training help for your trucking business, visit their website or take a look at their Facebook page to see how you can sign up for their next class. At Riviera Finance, we offer a variety of services to serve the transportation and trucking industry, such as Transportation Factoring, Freight Bill Factoring, Fuel Card Services and other financial services. Contact Us Today!